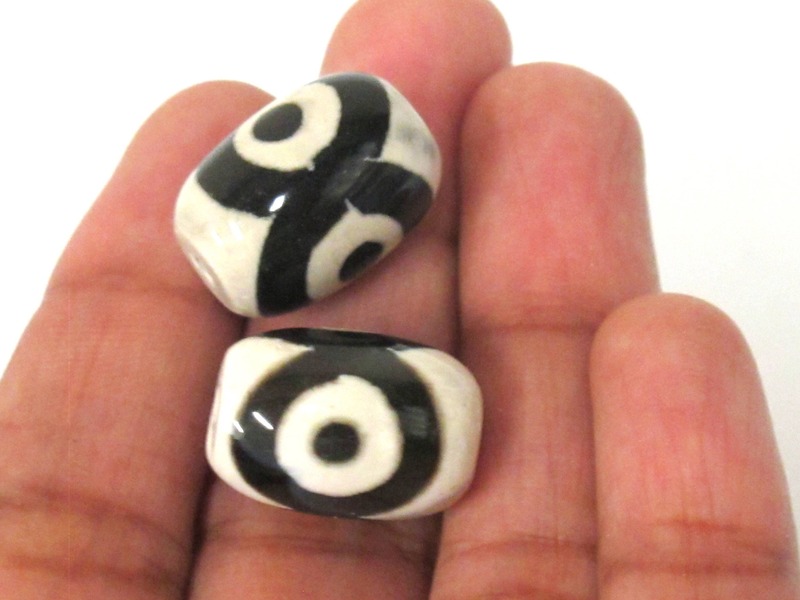 Tibetan etched agate dzi eye bead. Size: Approx: 17 -18 mm long (hole to hole) x approx 12 -13 mm thick. Bead hole size is approx 1 mm. 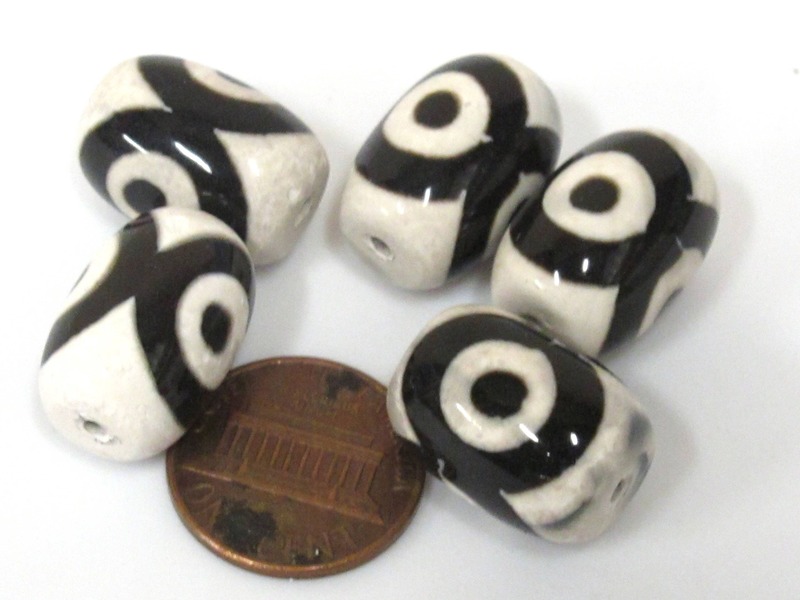 Please note -we do not sell old/antiqued dzi beads as they are very expensive. 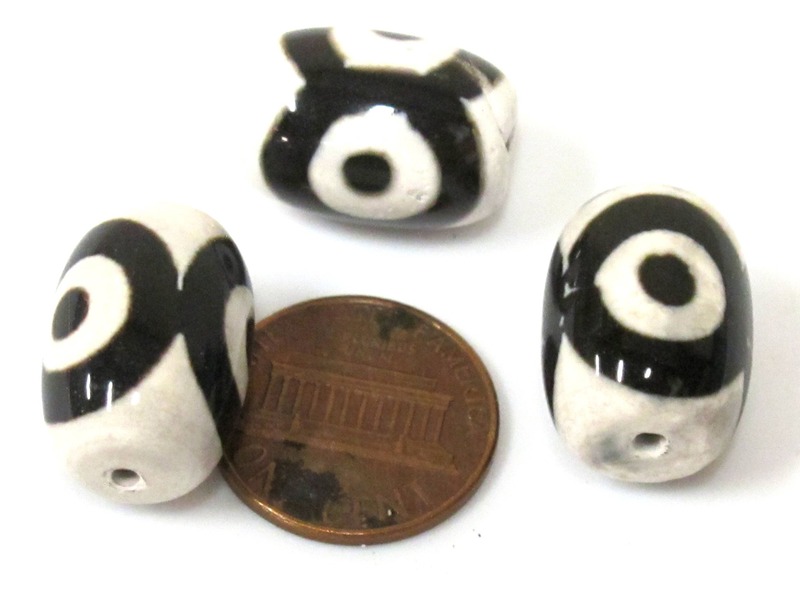 These are new etched agate dzi beads. 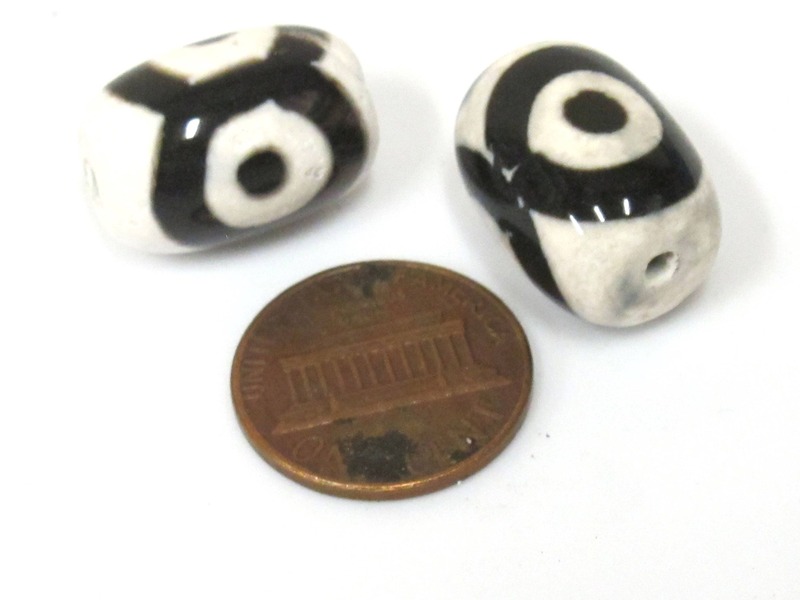 Since these are gemstone beads - each bead may vary slightly from the other. 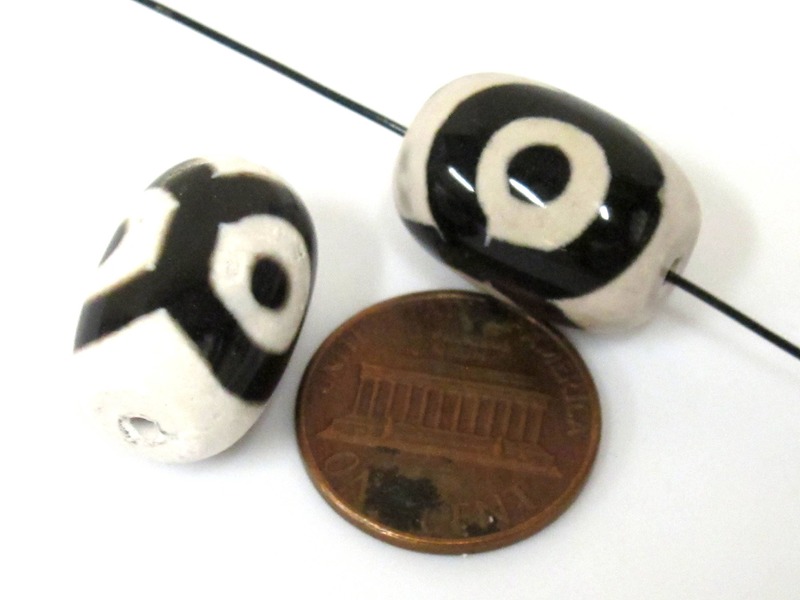 There may be slight variation in tones/surface edges / colors from bead to bead.